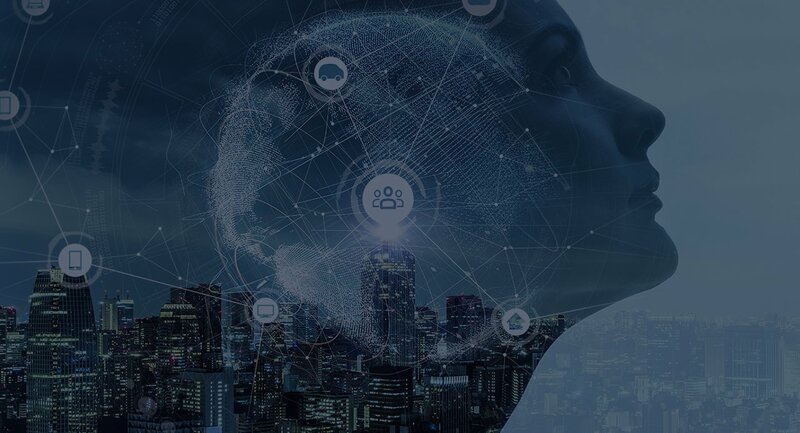 NVISO offers emotion recognition software services involving the capture of consumer emotions and emotion analytics using dynamic 3D facial expression recognition technology, including the reporting and visualization of emotional responses (the "Services"). You do not have to register in order to visit our Website. In order to access certain features of this Website, however, you may be required to register and create an account. When you register, you will be asked to provide the following personal information: your full name, email address, and other contact information. If you register, you will be required to select a password. You should not disclose your password to any third party. You are solely responsible for keeping your password confidential and for the activity that occurs on your account. We will never ask you to send your password or other sensitive information to us in an email or to enter it via any website other than one with the URL of nviso.ch. If you suspect any unauthorized use of your account or access to your password, please change your password immediately and contact us. You agree to immediately notify us of any unauthorized use of your password or account or any other breach of security. You are solely liable for any loss or damage arising from your failure to comply with this Section 2. We provide demonstrations ("Demo(s)") of our software services upon request. To obtain a Demo of our emotion recognition software services, you should submit your request and a video to our attention, along with your name, email address, and other contact information to any of the following: (a) our email address at info@nviso.ch; (b) via the Website; or (c) by completing an online survey. By submitting your request and video to us, you provide your consent to our use of any personal information that you provide to us. Upon completion of our analysis, we will provide you with the Demo, which will contain the emotion profiling data from your video (the "Data"). (b) Intellectual Property from Demonstrations. You agree that we will retain all right, title, and interest in the proprietary and copyrightable elements of the Data and all trade secrets contained in the Demo. We will grant you a non-exclusive, worldwide, royalty-free, transferable license to use the Demo for your own internal business and evaluation purposes only. For the avoidance of doubt, you are expressly restricted from publishing or making the Demo available to the public and from disclosing or distributing the Demo to any third party. (c)Intellectual Property in Video Submissions. You grant to us a non-exclusive, worldwide, royalty-free, transferable license to process any video that you provide to us for Demo purposes, to use such video for our own internal business and evaluation purposes thereafter, and to store any video that you provide to us. You warrant and represent that you solely own all right, title, and interest in any video that you provide to us, or that in the alternative, you have procured and will maintain all licenses necessary to authorize the rights set forth herein at no charge to NVISO. You further warrant and represent that you have procured a release from any persons depicted in any videos supplied to us, which release authorizes us to use such person's image and likeness for the purpose of the Demo. It is your responsibility to ensure that all videos that you submit are not harassing, threatening, libelous, obscene, indecent, unlawful, or violate the rights of any third parties. To subscribe to use our Services, you will need to enter into a separate Emotion Recognition SAAS Agreement. You should contact us at sales@nviso.ch to request a copy of our agreement. We and our licensors shall retain ownership of all right, title, and interest in all copyrightable material on this Website, including but not limited to the design features, the look and feel, the organization and arrangement, the code, the text, the databases, and all content, as well as any marks, service marks, or logos featured on the Website (collectively "Website Intellectual Property"). You may not reproduce, display, republish, upload, post, transmit, publicly perform or display, copy, distribute, create derivative works of, access, or otherwise use for any purpose any portion of our Website or any Website Intellectual Property contained therein for any commercial or non-commercial use without the express written consent of us or our licensors as appropriate. (e) Statement under Penalty of Perjury. A statement by you confirming that you are the intellectual property owner or are authorized to act on the intellectual property owner's behalf, made under penalty of perjury. We use commercially reasonable efforts to maintain our Website and to keep it operating on a twenty-four (24) hour, seven (7) day a week basis, free from bugs, errors, technical problems, or defects. If, at any time in the future, we identify any bugs, errors, technical problems, or defects, then we will immediately assign technicians to address and resolve the issue. We cannot guarantee that your access to the Website will be uninterrupted, or that the Website will be available at all times. We can assume no liability or responsibility for any delay, interruption, or downtime. We use commercially reasonable efforts to ensure that our Website and Services are protected from viruses and other destructive software, but we cannot guarantee that either will at all times be free from such destructive software. We can assume no responsibility for any damage to computer equipment or other property that may result from the use of the Website and the Services. We reserve the right to discontinue operation of the Website and the delivery of our Services at any time for any reason in our sole discretion, and to make modifications to the operation of the Website at any time in our sole discretion. (g) Infringing the Website. Aggregating, copying, or duplicating in any manner any of the software making up part of the Website or any of the content or information available on the Website. We reserve the right (but do not have the obligation) to terminate or suspend the registration or Demos of visitors who do not appropriately use the Website. If you become aware of any inappropriate use, please notify us at our email address at info@nviso.ch. We are pleased to hear from you and welcome your feedback about our Website and Services. If you provide any feedback to us, you agree that all such feedback will not be subject to any obligation of confidentiality by us, and that we will not be liable for any use or disclosure of the feedback. Also, you agree that we may use any such feedback to make improvements to our Website and Services at our sole discretion without any obligation to you. In the event that you submit any ideas about the Website and Services, you grant to us an exclusive, perpetual, royalty-free, transferable, worldwide license with the right to grant sublicenses to use, display, copy, publish, republish, and to incorporate your idea into our intellectual property. You agree that we will not be liable to you for any indirect, consequential, special, punitive, or exemplary damages, arising out of or in connection with the use of this Website or the evaluation of our Services, including but not limited to damages for loss of profits, goodwill, use, data, or other intangible losses (even if we have been advised of the possibility of such damages). Our liability to you shall in no event exceed the total aggregate amount of one hundred dollars for all claims. Some jurisdictions do not allow the limitation of liability, so these limitations may not apply to you. Any Demo and Data therein that we provide to you at your request is provided on an "as is" basis. Your use of this Website, your reliance on any information contained herein, and your procurement of any Demo to evaluate shall be at your sole risk. We make no warranty regarding any results that you may obtain from using our Services or regarding the accuracy or reliability of any Data, nor can we warrant that the Demo or any Services will meet your requirements. We make no warranty that your access to the Website will be continuous, uninterrupted, bug-free, error-free, virus-free, free of defects, or free of technical problems, or that any information will be accurate or complete. TO THE EXTENT PERMITTED BY LAW, WE EXPRESSLY DISCLAIM ALL WARRANTIES, WHETHER EXPRESS OR IMPLIED, INCLUDING THE WARRANTIES OF QUIET ENJOYMENT AND NON-INFRINGEMENT AND ANY IMPLIED WARRANTIES OF MERCHANTABILITY OR FITNESS FOR A PARTICULAR PURPOSE. WE DO NOT WARRANT THAT ALL ERRORS, BUGS, OR DEFECTS CAN OR WILL BE CORRECTED OR THAT THIS WEBSITE WILL OPERATE BUG-FREE, ERROR-FREE, CONTINUOUSLY, OR AN UNINTERRUPTED BASIS. By using this Website or evaluating or our Services, you agree to indemnify, defend, and hold harmless us and our Website and our respective licensors, directors, officers, employees, independent contractors, representatives, agents, and other visitors against any third party claim arising from or in any way related to your use of this Website or your submission of any video to us, including but not limited to any liability or expense arising from any and all claims, demands, losses, damages, costs, expenses, suits, judgments, litigation costs, or attorneys fees. To the maximum extent permitted by applicable law, you hereby release and waive all claims against us and our officers, employees, independent contractors, representatives, and agents from any and all liability for claims, damages (actual and or consequential), costs and expenses (including litigation costs and attorneys' fees) of every kind and nature arising from or in any way related to us, our Website, or your evaluation of our Services. You understand that any fact relating to any matter covered by this release may be found to be other than now believed to be true, and accept and assume the risk of such possible differences in fact. In addition, you expressly waive and relinquish any and all rights which you may have had under any other state or federal statute or common law principle of similar effect, to the fullest extent permitted by law.